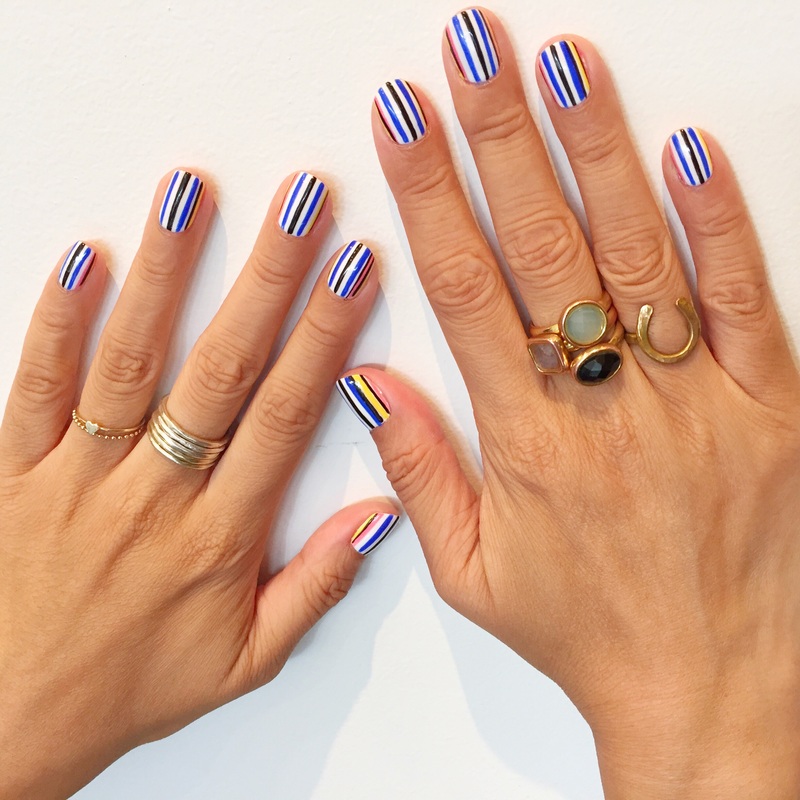 Stripes for my Tips Nail Bar marathon manicure by Leeanne Colley! You know, to lead me straight to the Scotiabank Toronto Waterfront Marathon finish line! The nail look is from the Opening Ceremony runway. Leeanne used CND Shellac in Cream Puff, Black Pool and Gotcha, and Gelish in Mali-Blu Me Away. I love it. It feels fresh and crisp and works well for my travels next week after the race. “I’ve never pulled so many colours for a mani!” said Naomi Misu of Tips Nail Bar as she got ready to start my manicure. 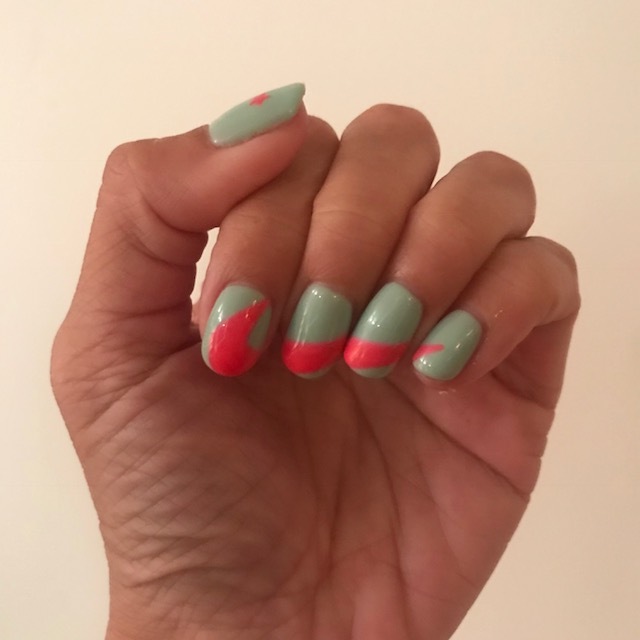 Yes, it’s that time again — I’m running the Goodlife Toronto Marathon (this is the second time I’m running the Toronto Marathon) on Sunday and so I went in to get a “marathon mani” at Tips Nail Bar. I didn’t have anything in mind last week but I started surfing the internet and thought of my Kenzo sweatshirt with the tiger on it. 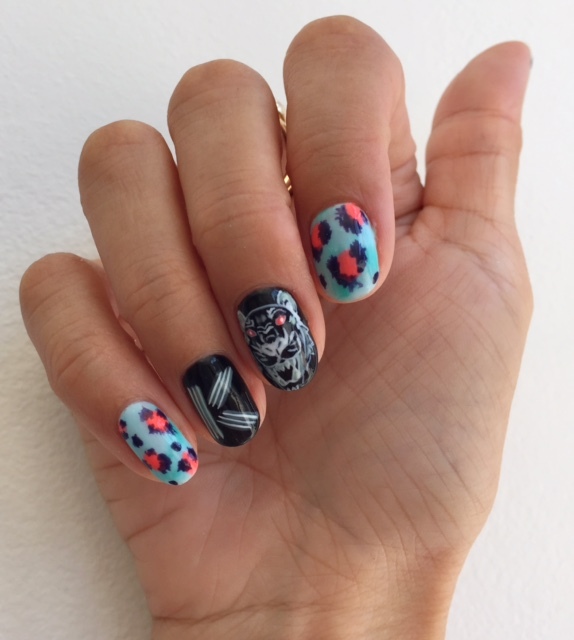 So I googled Kenzo and come across some nail art, but none featured the tiger. I also came across some fantastic Kenzo pants in a bright leopard print. 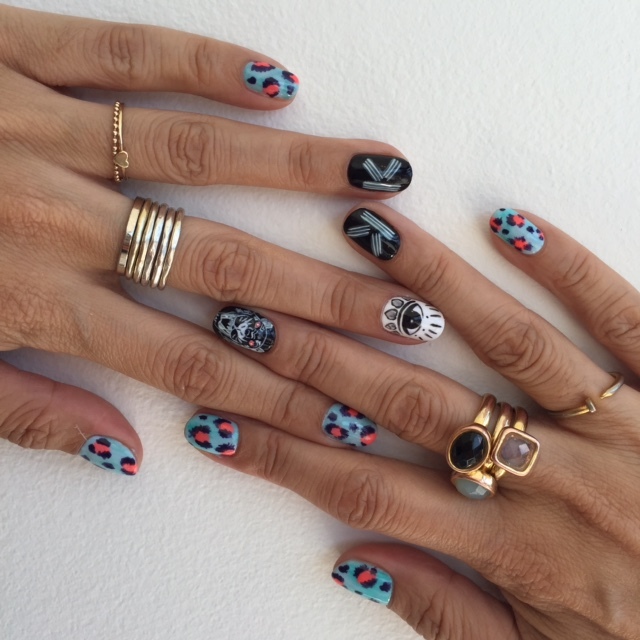 But then whaddya know…she sets me up with Naomi, who looked at all the elements I said I liked and then incorporated them all into this killer Kenzo manicure. Took less than 2.5 hours (a big chunk of that time devoted to the tiger). Love it. 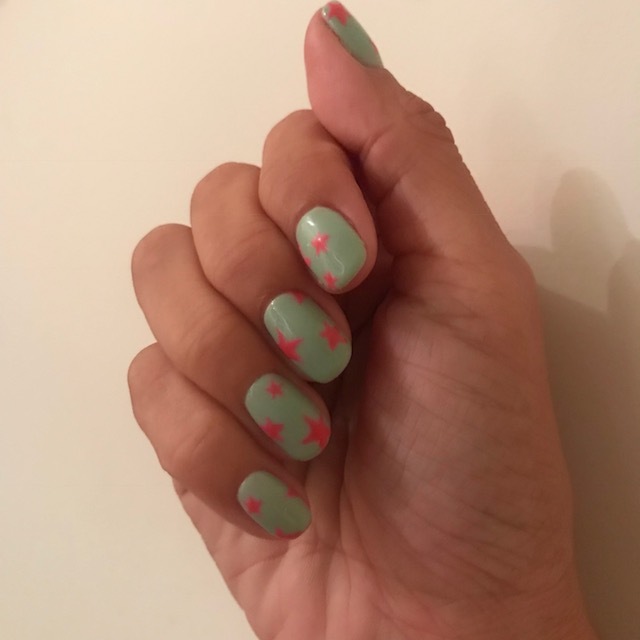 And love that she put one K on each hand…”as in KK, your initials!” says Naomi. Now I’m pretty sure I need to download “Eye of the Tiger” as a power song for my marathon. 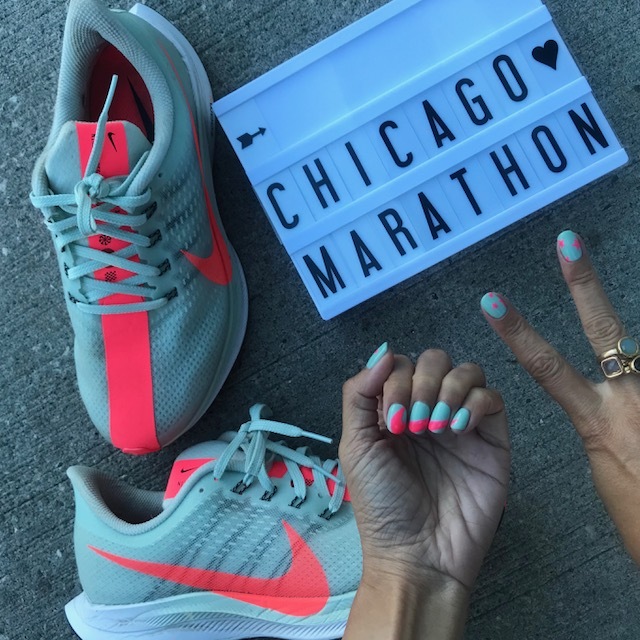 Anyhow, no matter how the race goes, these nails are a personal best.